We are very lucky and super-excited that Matt Haig will be stopping by Steyning to talk about his wonderful new novel How to Stop Time. 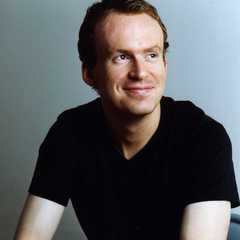 Matt Haig is an incredibly talented and prolific writer who has turned his hand to award-winning adult fiction, children’s and YA novels, and non-fiction. His non-fiction book Reasons to Stay Alive was a number one Sunday Times bestseller and was in the UK top 10 for 46 weeks, and his heart-warming children’s novel ‘A Boy Called Christmas’ was a huge hit and is currently being adapted into a film by Studio Canal. His other adult novels include the hilarious, inventive The Humans, and the unusual vampire novel The Radleys, and his many works for children include Steyning Bookshop favourite To be a Cat. The film rights to How to Stop Time have already been snapped up by Studio Canal, with Benedict Cumberbatch set to take the title role – so grab your chance to meet Matt before he is whisked off to the Cannes festival high life! Matt will appear at the beautiful Gluck Studios, an intimate space seating just 50, so do book early for this absolute gem of an opportunity! Ticket price of £13 INCLUDES a fresh-off-the-press hardback copy of How to Stop Time, so it’s a complete bargain!